Thank you "Images That Excite You" for the feature! Thanks so much my friend...appreciate you! Superb point of view capture! Thank you so much Sheri. I appreciate you choosing this piece as one of your favorites! 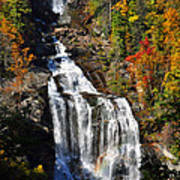 Wonderful falls and spectacular autumn colours! Thanks so much Lynne! I appreciate your support! Lovely work, congratulations on your special feature in Glimpses of Autumn. 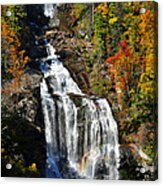 Awesome Capture, Lydia....Congrats on your Featured Artists of The Week in: " Glimpses of Autumn "
Fantastic capture of the upper Whitewater Falls in North Carolina! Lovely scenic autumnal landscape! Congrats, Lydia! This great image is being featured in the Special Featured Artists of the Week Section of the Glimpses of Autumn Homepage! F/L. WOW, what an honor! Thanks so much Dora! Thank you " Premium FAA Artists" for the feature! Thank you Stephen for your comment and your support! Thank you Glimpses of Autumn for the feature! Thank you Beauty Captured and North Carolina Photography for 2013 features! Thank you Marcia and for choosing this piece as a favorite! Outstanding work, Lydia and what a great Autumn scene too. Thank you Gene for your kind comment and for choosing it as a favorite! 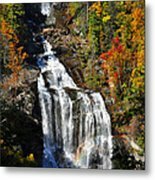 Whitewater falls is a set of two falls in North Carolina (upper) and South Carolina (lower). 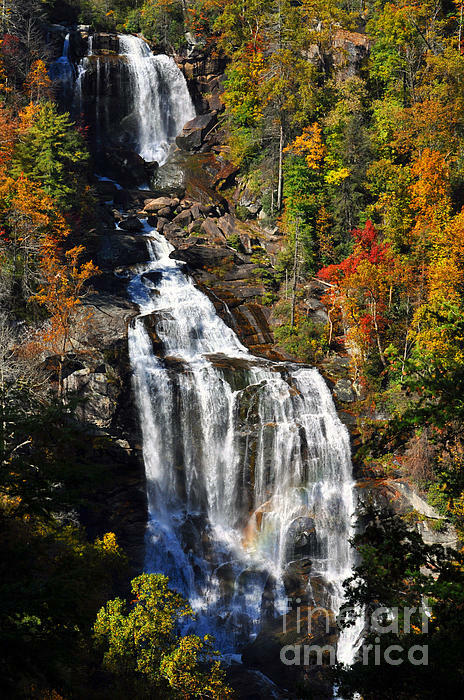 This photograph is of the upper falls (North Carolina) and the falls plunge 411 feet! South Carolina's Lower Whitewater Falls drops about another 400 feet. Some reports state Whitewater Falls is the highest series of falls in eastern America. The water empties into Lake Jocasee. A fantastic experience to view and hear! Powerful and peaceful all rolled into one!